Fingers change size all the time. 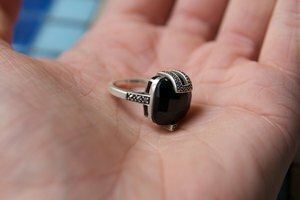 Whether it's because of swelling, weight gain or weight loss, rings can be too small one day and too big the next. 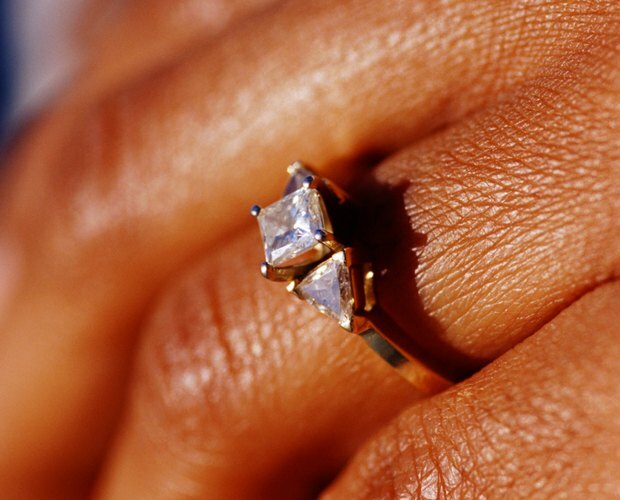 Sizing rings at a jeweler can be expensive, and sometimes all you need is a temporary fix. 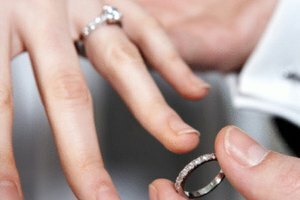 Several simple methods are available for you to make your own ring adjustments. Buy a ring adjuster such as a ring guard or ring wrap. Adjust the guard to fit into the bottom of the ring following the manufacturer instructions. These temporary guards come in plastic, metal or gold and are priced accordingly. Place two small sizing beads on the inside bottom of your ring. The beads are also called sizing balls or gold balls. Dab epoxy on the balls and let them set for 24 hours. Wrap dental floss around the bottom of your ring until it fits. Seal it with clear nail polish as a temporary fix. Use a ring that fits your finger perfectly as a model. Find a hard round surface that is the diameter of this ring, but is narrower on one end and tapers toward the correct size. This could be a metal wine stopper, a pen or a lipstick holder. Place the ring onto the item and mark it with a marker where the ring fits. Put the ring you want to enlarge onto the wine stopper or other item you found. Hold it in place on the tapered edge as close as you can to the mark you made. Tap on the ring gently with a small hammer or rubber mallet, pushing it toward the mark. Move the hammer around the ring and continue to tap gently as it slides up to the correct size. The enlarging procedure works best with softer metal rings. If your ring doesn't enlarge after a few taps, don't force it or hit it hard enough to damage the metal.